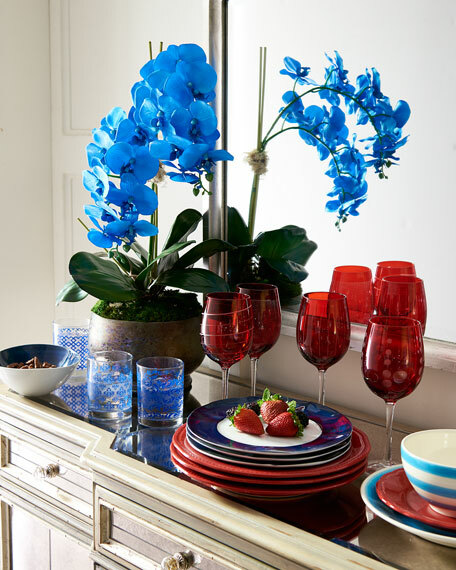 Majestic double-stem blue phalaenopsis orchid with dried elephant reed basil. Polyester silk and natural reed. 17'W x 12"D x 27"T.